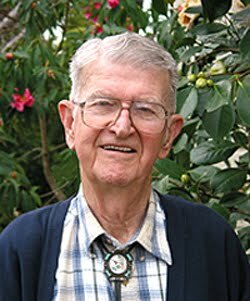 A UC Santa Cruz professor whose research and testimony contributed to the U.S. Supreme Court's landmark Brown vs. the Board of Education decision died Saturday. In 1952, Smith testified as an expert witness against segregation in a case before a Richmond, Va. federal appeals court, one of four lower court cases that led to the Supreme Court's decision to ban school segregation in Brown vs. the Board of Education. Smith, who testified that segregation harmed a child's self-esteem and thus affected their ability to learn, considered his testimony to be among his greatest contributions to society. Where, in the performance of its judicial duties, the Court decides a case in such a way as to resolve the sort of intensely divisive controversy reflected in Roe and those rare, comparable cases, its decision has a dimension that the resolution of the normal case does not carry. It is the dimension present whenever the Court's interpretation of the Constitution calls the contending sides of a national controversy to end their national division by accepting a common mandate rooted in the Constitution. The Court is not asked to do this very often, having thus addressed the Nation only twice in our lifetime, in the decisions of Brown [v. Board of Education] and Roe. But when the Court does act in this way, its decision requires an equally rare precedential force to counter the inevitable efforts to overturn it and to thwart its implementation. The merits of these judicial opinions are off-topic for this blog, but I want to note that both took extreme political positions, and the court had to expand its power in order to maintain its position. Brown brought us forced racial school busing, and Roe brought a woman's unquestioned right to an abortion during the whole 9 months. About 80% of Americans have a more moderate view. Brown was also ineffective at stopping school segregation. The overall racial segregation of the public schools today is about the same as in 1954. Given that desegregation has not produced the predicted leaps forward in black educational achievement, there is no reason to think that black students cannot learn as well when surrounded by members of their own race as when they are in an integrated environment. (...) Because of their "distinctive histories and traditions," black schools can function as the center and symbol of black communities, and provide examples of independent black leadership, success, and achievement. The psychologists became interested in the topic because much research already has been done on racial differences in self-esteem. Many people assumed that blacks would have lower self-esteem because they belonged to a disadvantaged minority, and some research supported that view, while other work did not. No, he did not wise up in the 1930s. Those who wised up in the 1930s or 40s were never blacklisted. He must have been an unrepentant commie when he testified in the 1950s. The commies were probably very much in favor of forced racial busing because it had the potential to cause race riots and other racial unrest. I post this to show that leftist psychologists have a long history of using bogus research to influence the courts for their ideological purposes. And not just Jews, as Smith is not a Jewish name. Hardly anyone even questions this junk, except for a few independent thinkers like Thomas and this black psychologist. There are Jews named Smith, and you're still a fool. "a higher percentage of black schoolmates has a strong adverse affect on blacks and, moreoever, that the effects are highly concentrated in the upper half of the ability distribution." "schooling in a homogenous group of students appears to have a positive effect on high-ability students' achievements, and even stronger effects on the achievements of high-ability minority youth."